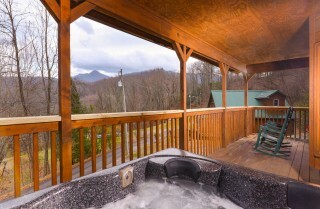 A cozy Gatlinburg cabin for couples or a small family, Lasting Impressions offers a king size bed, seasonal views of Mt. LeConte, a short drive to downtown, and amenities that will make you feel like you’re home. Get away for romance and relaxation in this charming one bedroom cabin near all the excitement of Gatlinburg! 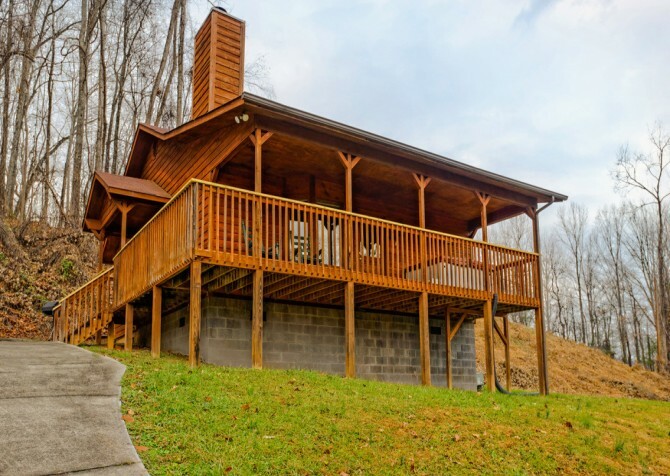 Looking for a cabin that will make trips into town quick and easy? 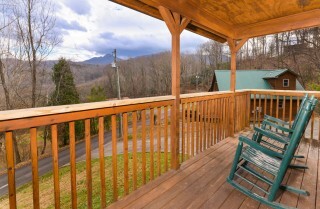 Check out Lasting Impressions, a one bedroom, one bathroom cabin that’s just a few miles from downtown Gatlinburg. 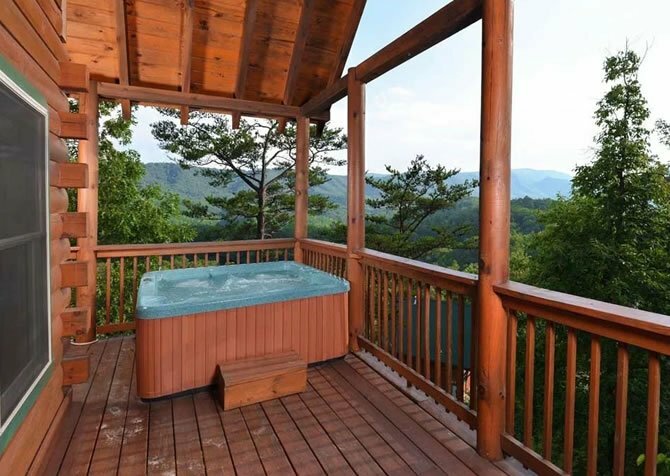 If you’re planning to explore the area, check out local attractions, and even spend some time in the Great Smoky Mountains National Park, Lasting Impressions is a great option. 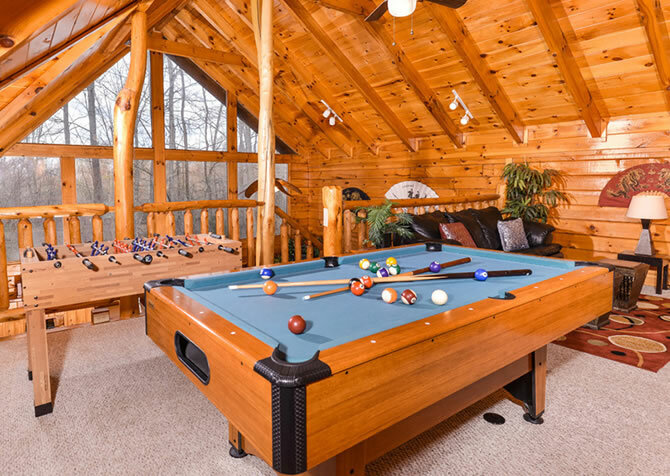 It won’t take long to get into town, where you can spend the afternoon at Ripley’s Aquarium of the Smokies, play some games at Fannie Farkle’s, or grab a bite to eat at one of the many great area restaurants. The Great Smoky Mountains National Park is just a short drive away, providing tourists with miles of trails for hiking, biking, and enjoying the great outdoors. Beautiful scenery awaits, from rolling hills and lush trees to vivid wildflowers and a variety of wildlife. There is truly something for everyone, from the outdoorsman to the luxury seeker. After a long day in town, Lasting Impressions is a wonderful place to relax. 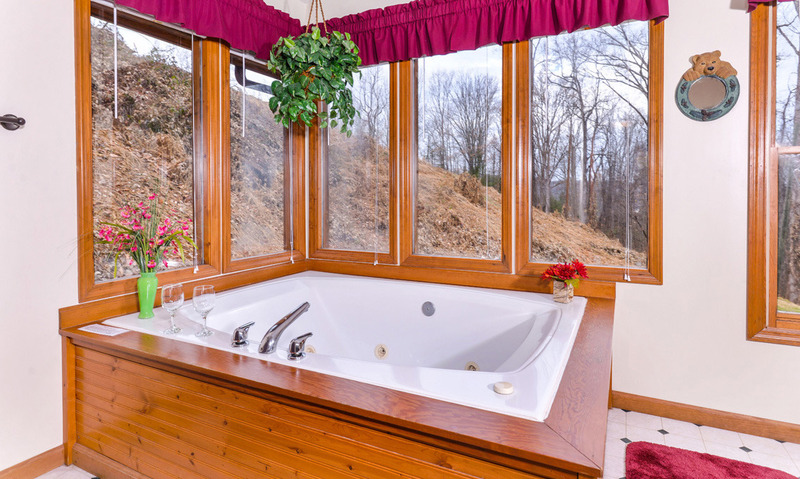 This one bedroom, one bathroom cabin has room for four guests, and its cozy spaces are especially welcome on those chilly mountain nights. With just one floor, it’s a bit easier to get around inside the cabin. Paved parking and a paved driveway also makes arrivals easier. 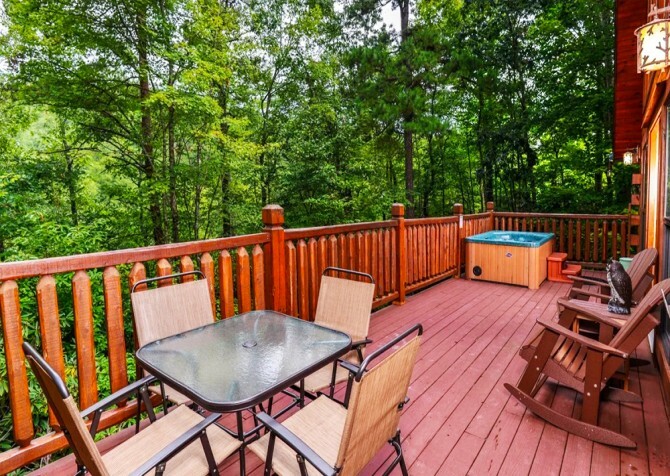 Nights will be peaceful when you retire to the king bed at this Gatlinburg cabin. 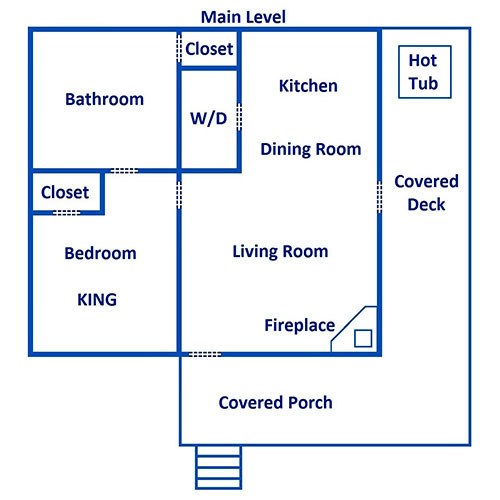 It has its own TV and a dresser with room to lay out things for getting ready. If you need additional sleeping space, a queen sleeper sofa is located in the loft. 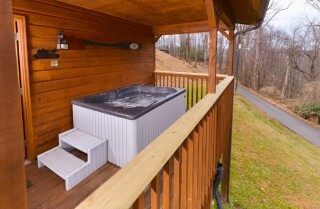 There is even a jetted tub in the cabin, so you can soak and relax at night. For a little more relaxation, head out onto the deck for a cup of coffee in the rocking chairs or a soothing soak in the outdoor hot tub! Along with the convenience of being close to town, Lasting Impressions offers high speed Internet, a washer and dryer, and a charcoal grill for grilling out on nice nights. If you’ve booked a long stay, you’ll appreciate having these conveniences. 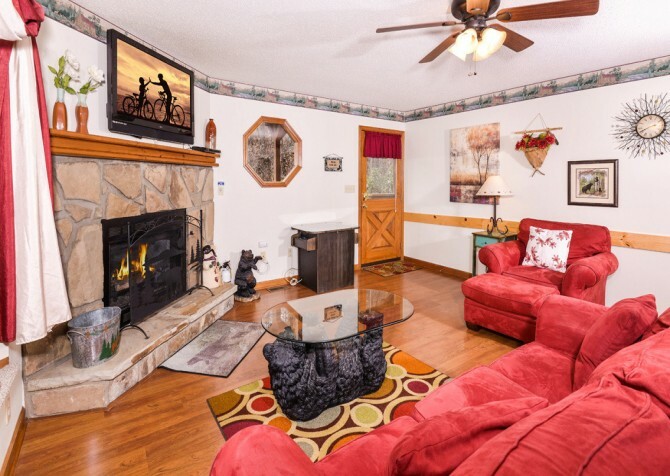 When you’re ready to kick back and relax inside, curl up in the living area in front of the TV and keep cozy by the warmth of the gas fireplace. There is also a DVD player, so you can bring along your favorite movies to enjoy. You can even play few games on the arcade game table. 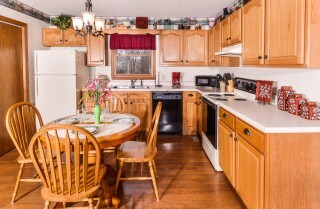 Another welcome amenity at this Gatlinburg cabin is the fully-equipped kitchen and dining area. It’s great for those who prefer to make meals in the cabin or have snacks on hand at all times. Windows around the room keep the space feeling open and bright, and you’ll find the appliances and tools you need to make meals in the cabin. 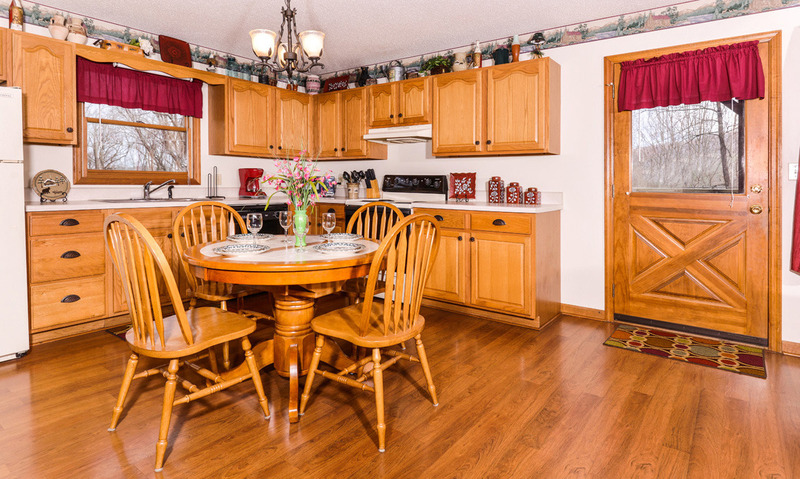 If you want to dine in but don’t want to do the grocery shopping, add a romantic dinner for two – all the ingredients will be waiting in the cabin for you! 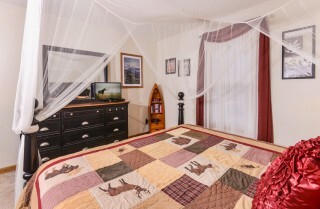 Lasting Impressions is a cozy one bedroom escape just minutes from downtown Gatlinburg. Enjoy a short drive to area attractions, comfortable spaces, and all the amenities needed for a relaxing stay in the Smokies! "The cabin was amazing. My husband and I wanted to get away for our anniversary. This is exactly the place to do it. It is quite and peaceful. The staff was great. They were friendly and polite. The reservation process went smooth and easy. I…"
"The cabin was amazing. My husband and I wanted to get away for our anniversary. This is exactly the place to do it. It is quite and peaceful. The staff was great. They were friendly and polite. The reservation process went smooth and easy. I can't explain how amazing things were. You will have a WONDERFUL time." Thank you so much for this amazing review! We are so glad you enjoyed your anniversary. We hope to serve you again soon. "My Wife and I stayed at the Lasting Impressions cabin for a week; it was wonderful! A great secluded location, but yet still close to town. 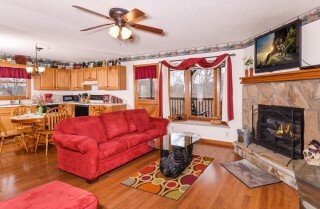 The cabin was lovely, with a fireplace and king size bed. A great value for what we paid. We were very pleased and will be back again."